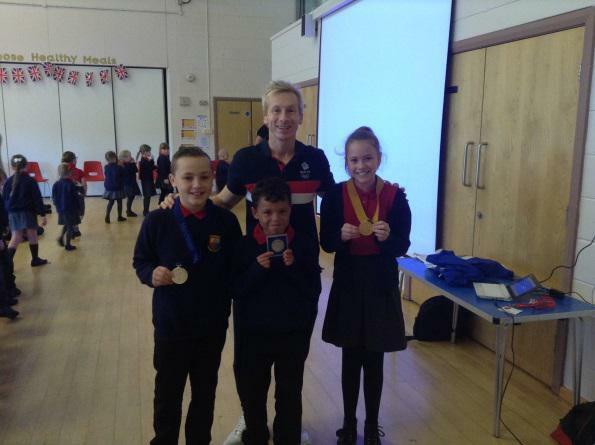 On Tuesday afternoon, the children were lucky enough to have a visit from Craig Heap, an Olympic Gymnast who gave an inspiring assembly! He encouraged the children to try different things outside their comfort zone and explained that that’s what he had to do to become successful at gymnastics. Our Sports Ambassadors were even lucky enough to try on his medals!